Life is always pulling us in every which way, and it’s easy to feel stressed out and anxious. To calm down, we often turn to relaxing activities like meditation and yoga. Burning a candle, or smelling the gentle aroma of an essential oil can help quiet a troubled mind, too. 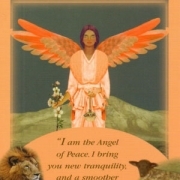 But let’s not forget about the angels – our powerful, spiritual friends who can help bring more peace into your life. 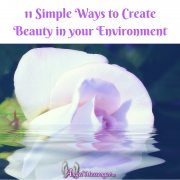 Here are five easy ways you can work with them for a more peaceful day. 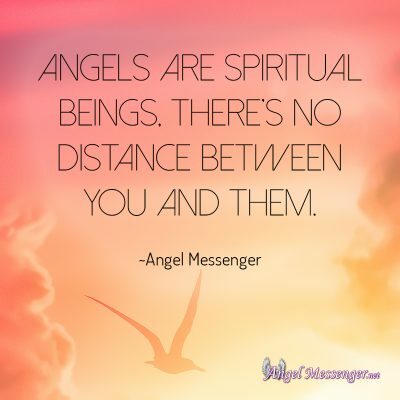 Because angels are spiritual beings, there’s no distance between you and them. If you want to communicate with them, all you have to do is start talking to them. They’re ready to listen. You might be asking, if it’s that easy, why don’t we talk to them more often? Sometimes, what holds us back from reaching out to the angels is our own feelings of insecurity or inferiority. But talking to your angels isn’t about you being worthy or good enough. Furthermore, you don’t have to merit their love and attention. Another reason why some people find it hard to talk to angels is because of their own interpersonal relationships. It can be hard to make friends, and even harder to experience rejection. With angels, it’s a win-win situation. They love having a relationship with you, so don’t be afraid to take the first step. You’ll never be rejected or abandoned by them. In your spiritual practice, you may frequently pray to the Divine Source. This is especially true when we’re faced with a difficult, worrisome situation. In times like this, remember that angels live in the presence of the Divine. And when they pray, they speak directly to the Divine Source. So, don’t be afraid to ask not only for their help but for their prayers, too. And the more specific you are, the better. That’s because the more focused and clear your intentions are, the easier it will be for the angels to bring them to Divine Source on your behalf. Angels are not just spiritual beings who float around among us. 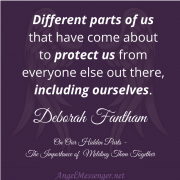 They are active individuals in your life, especially guardian angels. In fact, their main role is to help you feel secure, safe and protected during your life here on earth. Whenever you feel anxious or stressed, place yourself in their care and ask them to surround you with their love and light. And since there’s no physical distance separating you from them, you can do this anywhere. No matter where you are, you can “go” to them with your thoughts and intentions. This can bring you instant peace and calm. Angels have their own identity. They’re not a homogenous group of spiritual beings. And throughout the course of history, different faiths have identified certain archangels and their special attributes. These are perfect angels to turn to when a specific issue robs you of your peace of mind. In the descriptions below, we sometimes refer to an angel as “he” or “she”, but angels do not have a gender, and if you identify with an archangel as a feminine or masculine energy, that’s perfectly fine, too. 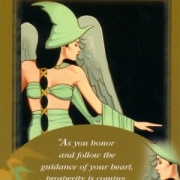 Archangel Raphael: Raphael’s name means, “God heals”, and he’s said to help smooth out relationship issues, including disagreements, misunderstandings, and friction. 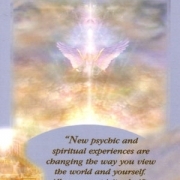 Archangel Uriel: Uriel means “light/fire of God”, and you can turn to him when you’re not sure how to approach a confusing or difficult situation. He can give you wisdom and the practical insights necessary to help you navigate murky waters. Archangel Jophiel: The name Jophiel means “the beauty of God”, and she encourages you to notice the beauty and goodness already present in your life, rather than focusing on what you lack. With her help, you can cultivate grateful and positive thoughts. 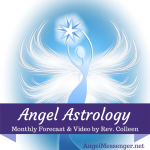 Archangel Gabriel: Gabriel is a famous messenger, whose name means “God is my strength”. If you’re feeling restless and unsettled, and you need clear answers, ask Gabriel to bring you divine messages, and with them, the strength you’ll need to move forward. Archangel Michael: Michael’s name means “he who is like God”, and he’s often depicted with a powerful sword. With this sword, he can help you cut through fear, worries, and obsessions – all of which keep you in a low, energetic vibration. You’ve probably heard that you’re the average of your five closest friends. So, if you’re constantly surrounding yourself with negative and stress-inducing people, it’s inevitable that you’re going to become negative and stressed, too. These people exist on such a low, energetic field and it will influence you. When you’re feeling anxious and down, it’s always better to surround yourself with uplifting, positive and supportive individuals. So, why not turn to the angels, too? You probably prioritize the time you spend with your best friends, and you can do the same with the quality time you share with your angel(s). Try to set aside anywhere from 5 to 20 minutes each day for your angelic sessions. When you do, make sure you won’t be distracted or disturbed. Then, make the intention to spend that time with them and place yourself in their presence. You can light a candle, play soothing music, look upon an image of an angel, or imagine them in your mind. Then, you can either talk to them or simply be quiet in their presence. The more time you spend in the company of the angels, the better you’ll feel. 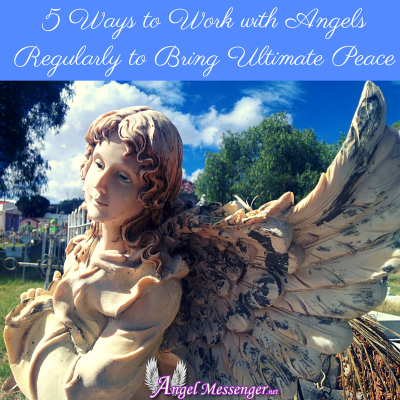 You don’t have to be a spiritual expert to bring more peace into your life with the help of angels. 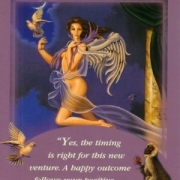 You simply need to make the intention to do so and to actively engage with the angels. They truly love when we reach out to them, and in return, they provide us with love, light, and much-needed peace.